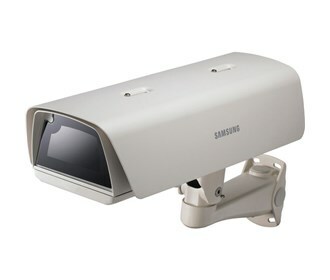 The Samsung SHB-4300H1 is an weatherproof housing designed to protect surveillance cameras with fixed lenses. With an IP66 weatherproof rating, the housing is suitable for both indoor and outdoor use, and it can operate in temperatures ranging from -58 to 122°F. Featuring a die-cast aluminum construction for durability and a fully cable-managed bracket for hassle-free wiring, the housing supports 3 cable glands for simplifying your wiring. Furthermore, it features a slide open design. The weatherproof housing comes with an integrated heater and fan to regulate the internal temperature of the unit. The Samsung SHB-4300H1 has many exciting features for users of all types. The Samsung SHB-4300H1 is sold as a Brand New Unopened Item.